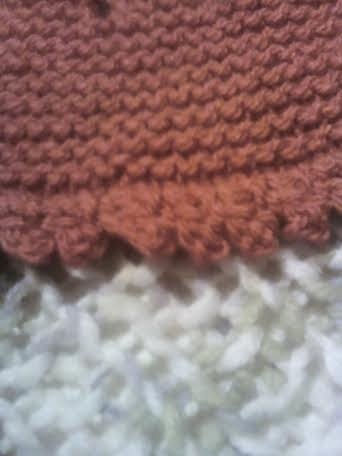 I added a picot crochet edge to the two ends to finish it off. 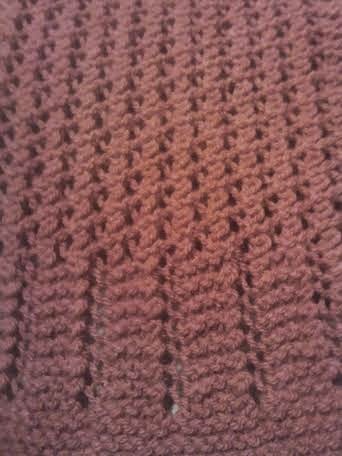 The pattern is so easy to do as there are no purl stitches all you do is Garter stitch ( knit every row) Knit, YO (yarn over) K2tog ( knit 2 together) that is it so even a beginner can master it. 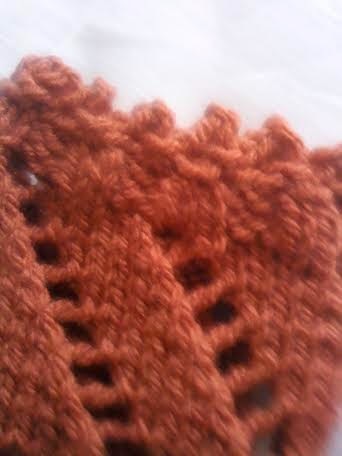 I have washed the scarf and this has relaxed the stitches and made the yarn even softer. I am not good at blocking and have often found washing the item helps in most, not all cases. 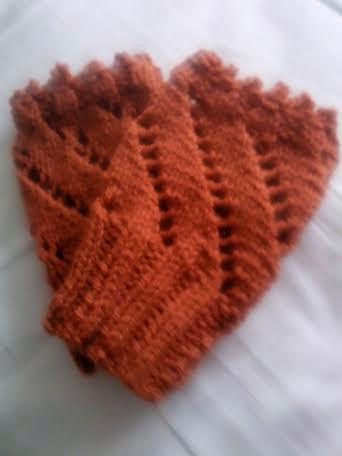 From the yarn that I had I was able to make a pair of fingerless gloves as well. It may not be the same pattern as the scarf but it does have elements of it I added the picot edge to the top of the hand warmers to match the scarf. 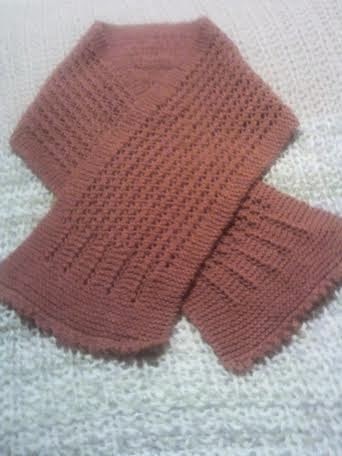 The scarf and hand warmers are nice and soft and will be lovely to wear on a cold winters day.